Trentino-Alto Adige will show you its wonderful natural and historical attractions, with a private tour combining the visit to castles and churches with the tasting of the important wines of this area; the particular climate of the Dolomites allows the growing of wine grapes even in an alpine region, with the result of an extraordinary landscape and very renowend wines. Full day excursion “Kaltern wine route”: in the morning we admire the Lake Kaltern, the warmest bathing lake in the Alps, and visit and tasting at the ancient castle Sallegg with its famous cellars. In the afternoon visit of the Wine Museum. 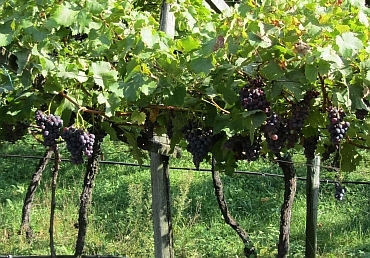 Half day excursion to the Etsch Valley: visit to the village of Nals situated among vineyards, orchards, farmhouses and traditional residences and visit of Castel Schwanburg, immersed in a wineyard. Half day excursion to Verona with guided walking tour.